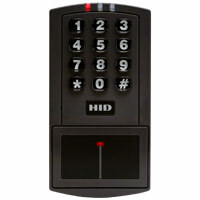 Countryside Alarms offers top of the line access control security systems for residential and commercial buildings. Honeywell’s OmniProx™ family is a complete line of 125 kHz HID compatible proximity readers that delivers outstanding and consistent performance in a small package with attractive styling and colors to fit any décor. All OmniProx™ readers (except the OP90) include three bezels: black, charcoal gray and ivory and are constructed with rugged polycarbonate materials potted for both indoor and outdoor applications. The OmniProx™ family of readers combines unique functionality, high-quality engineering and design for a variety of applications in the electronic access control market. View or download the OmniProx spec sheet. For security managers, dealers, integrators and OEMs, HID proximity cards and readers are recognized as the industry standard for physical access control. 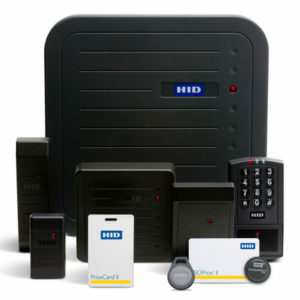 HID prox products are robust, affordable, and seamlessly integrate with access control systems. Featuring FlexSecur® security coding, the high-quality Indala line of 125 kHz Proximity readers combines intelligent programming technology with interchangeable components including uniform modules and a range of stylish cover designs. View or download the HID Prox family spec sheet. HID’s EntryProx™ stand-alone reader truly stands alone in what it delivers. 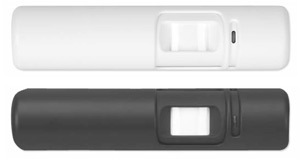 Compatible with all HID proximity cards and keytags, EntryProx™ provides single-door proximity access control and is ideal for unique applications. The reader, designed to be weather- and vandal-resistant, can be mounted indoors or outdoors up to 10 feet away from the control unit using the detachable antenna module. The versatile, attractive unit is easily modified to become an on-line reader by switching to Wiegand output mode, allowing it to connect to any OEM controller and provide card and PIN output. View or download the Entry Prox spec sheet. 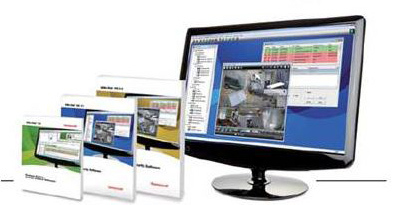 • WIN-PAK XE 4.4 (Express Edition) is the base software package for access control only. • WIN-PAK SE 4.4 (Standard Edition) provides access control and standard video integration; options include intrusion support and expansion to 5 workstations. • WIN-PAK PE 4.4 (Professional Edition) combines all the features of XE/SE while supporting intrusion, advanced video, unrestricted number of workstations, multiple communication servers and multiple account/department/sites. All inclusive—no additional upgrades needed. View or download the WIN-PAK spec sheet. Honeywell’s Request-to-Exit (RTE) sensors offer basic and full-featured models to suit every access control application. The quick-install sensors are extremely flexible, provide a generous amount of wiring room and contain built-in internal “tamper proof” shutters to enable precise target area detection. View or download the RTE data sheet. View or download the RTE A&E spec sheet. Built tough to withstand the hard work of high throughput jobs, but also ideal for low duty-cycle applications. Downloads and prints a single-sided full color card image (YMCKO) in less than 20 seconds using advanced bidirectional USB or parallel port. The leading printer for high volume printing applications. The Tango™ downloads and prints a double-sided, full color image in 40 seconds using advanced bi-directional USB or parallel port. Prints double-sided YMCKOK in around 30 seconds. The smallest and lightest in its class. This secure, entry-level, handfed printer downloads and prints a full color, edge-to-edge image in 30 seconds and features a HoloKote® RFID Custom Key™ facility. 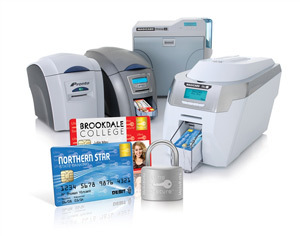 Applies a tough, polyester overlaminate onto pre-printed cards to protect against physical damage and tampering. Overlaminate can feature a custom hologram logo. The Magicard™ Sicura™ can be used in tandem with Rio™ and Tango™ printers or as a stand-alone laminator with the Alto™. View or download the Magicard data sheet.